After intense negotiations, the latest agreed-upon plans will see the density of the former plans stacked into a single, taller and more narrow structure. In exchange for the greater height, developer Crescent Heights will position the 410-unit building at the northeast corner of the sight to optimize adjacent views as well as deed 3.19 acres of land towards a new city-owned park. The proposal for the site still has a number of obstacles to overcome, including securing the approval of six of seven city commissioners. Once the details have been agreed upon, the agreement will likely go before the commission in September. The city plans to require the developer to build the park before the city issues a certificate of occupancy for the condo tower. Note. The rendering below reflects the previously proposed 42-story tower. 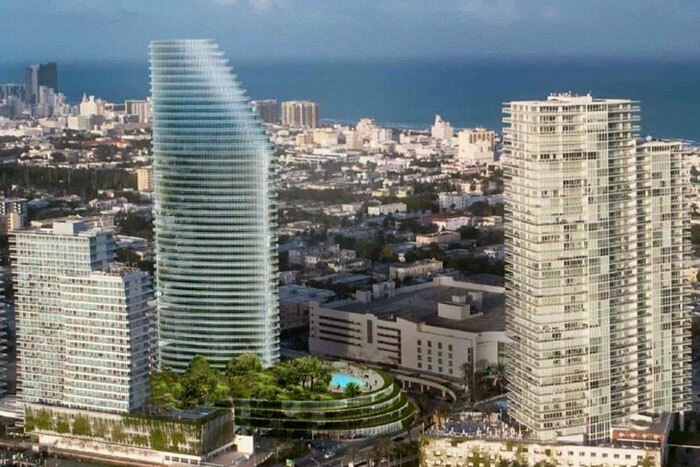 Renderings for the new 44-story tower have not yet been released.